Make your old PC run like new. Keep your new PC running fast and problem-free. System errors and registry clutter will degrade your computer's performance, leading to crashes, longer boot times, and system errors. System Mechanic Free combines over 40 powerful PC tuneup tools to clean hard drive clutter, optimize your registry, defragment drives and memory, manage programs, boost your internet connection, and remove spyware. 64-bit/32-bit Windows 7, Vista, XP with an internet connection. Fully functional trial does everything the full version does! System Mechanic Free automatically eliminates the performance drains that can bring your PC to a crawl, then safely optimizes settings for maximum speed. Regularly updated Tune-Up Definitions from iolo Labs ensure that your PC is protected against the latest threats and system flaws, helping your programs to launch quicker, work faster, and perform with greater reliability. Qweas is providing links to System Mechanic Free 11.0.5.2 as a courtesy, and makes no representations regarding System Mechanic or any other applications or any information related thereto. Any questions, complaints or claims regarding this application System Mechanic Free 11.0.5.2 must be directed to the appropriate software vendor. 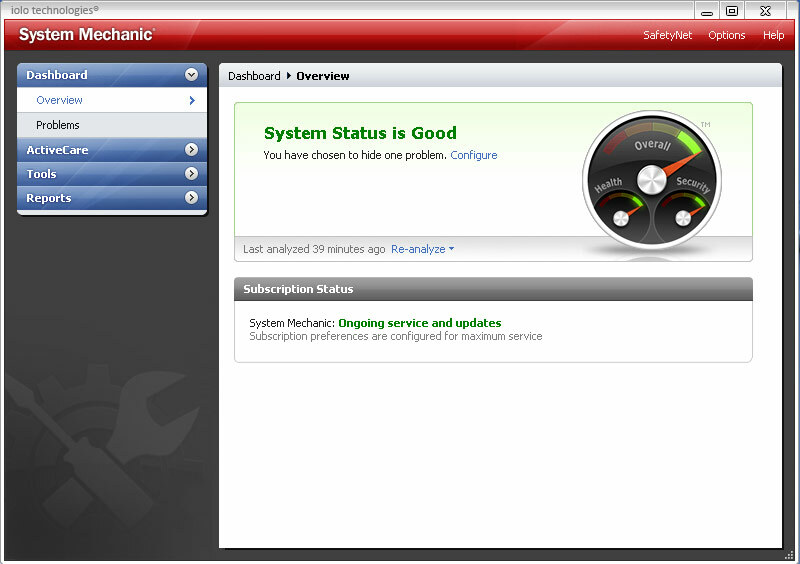 You may click the publisher link of System Mechanic on the top of this page to get more details about the vendor.